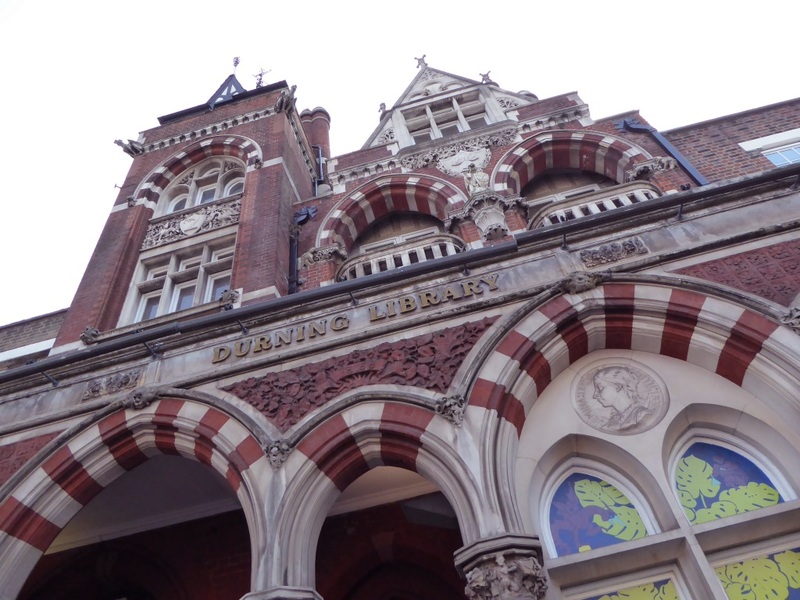 Two excellent excuses to visit libraries…….. not that I really need an excuse, but it is lovely to have a reason to visit lots of new libraries in a week! 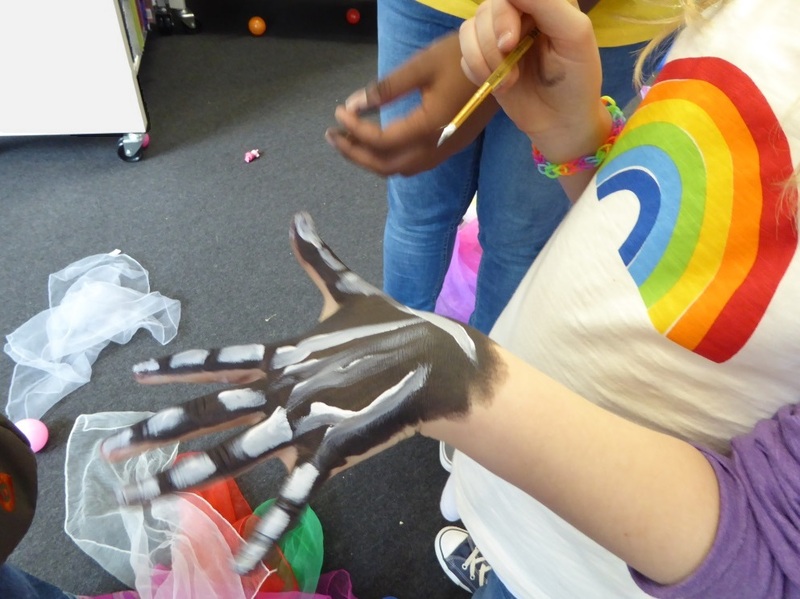 First up was Fun Palaces weekend: 6-7 October. And while there is a great Fun Palace in Chatham, I wanted to find some libraries taking part, so we headed north of the Thames to Essex. Our original plan was to try and visit 3 (in 3 different library authorities!) but the traffic thwarted us – so we’ll have to visit Chelmsford library another time. 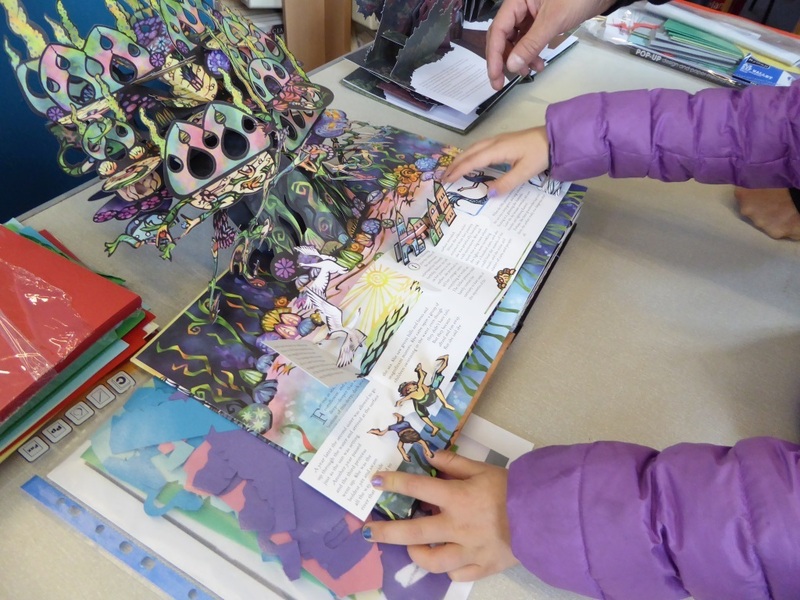 We were successful in finding 2 library Fun Palaces though – the first in Grays library, Thurrock. We arrived early, just as people were setting up, but had a chat with a lady from the knitting group, and then spent some time making a basket from woven newspaper ‘spines’. 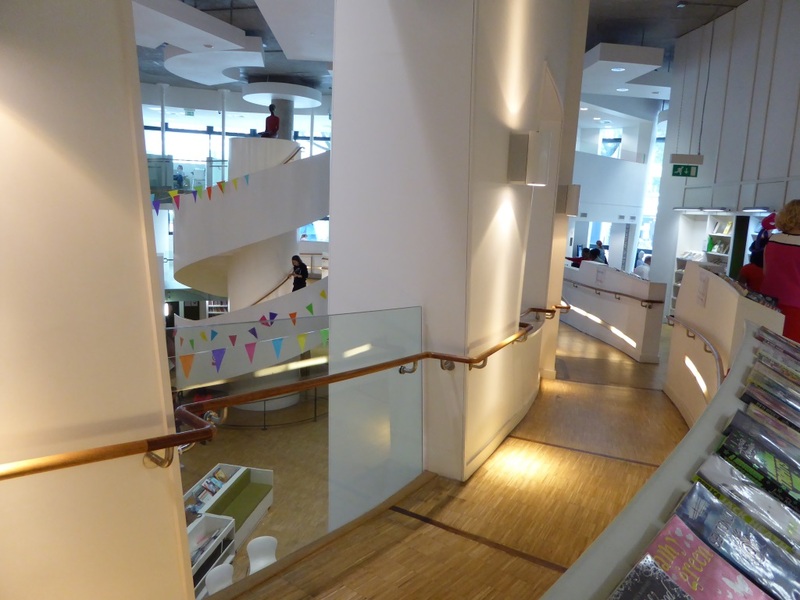 The library is found inside the Thameside centre – which it shares with a museum, theatre and cafe. Next stop was Westcliff, to visit one of Southend’s libraries. We used to visit family in Southend, but I don’t ever remember seeing this building. It is Grade II listed, I guess due to its unusual construction: masses of huge windows, very slim metal columns and an unusual ‘ridge and furrow’ roof. There was a craft table, another with people doing quick health checks, and another with someone I later discovered was Andy – with his raspberry pis. Out in the garden were community champions promoting recycling, in front was a cycle repair team, and in a side room was a local reptile group – who had brought a tortoise, a tarantula, and 2 snakes. I was mesmerised when holding the king python – constant movement of muscles under its skin, and the most beautiful patterns. Libraries Week runs from 8 – 13 October, and the theme this year is wellbeing. A week long opportunity to showcase the many ways in which libraries bring communities together, combat loneliness, provide a space for reading and creativity and support people with their mental health. A very busy time for me at work – encouraging colleagues to visit their local library – then share a photo and comment, plus plans for minister to visit libraries, a series of blog posts, and lots of social media activity. 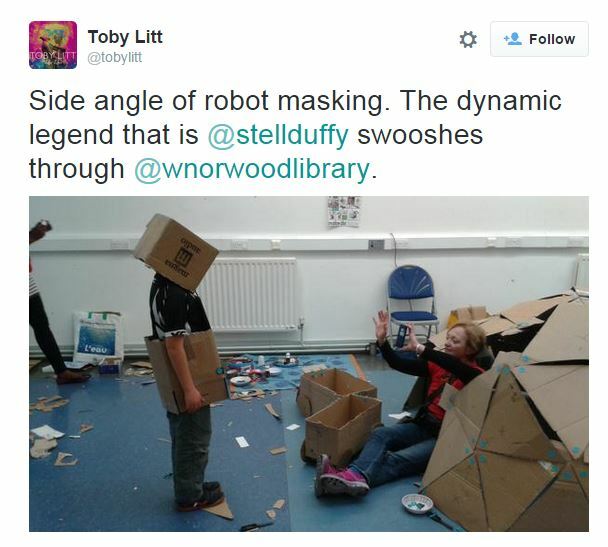 Good to see #LibrariesWeek trending on twitter – there have been some amusing tweets, plus lots of lovely memories of libraries – many in response to this tweet from Radio 4. First visit to a library today was a quick stop in Charing Cross – a long narrow building, but a bright space. I’m hoping to visit as many new libraries as possible – and will try to fit in some with specific connections or memories for me. While I probably wont be able to make it to Kendal – the first library I was a member, or Brackley library where Mum worked, or the Huw Owen at Aberystwyth University, I did travel to the end of the Metropolitan line today, and visit Uxbridge. I was a member there when I moved back to London after studying, and remember seeing Anna McCaffrey at a ‘meet the author’ evening. 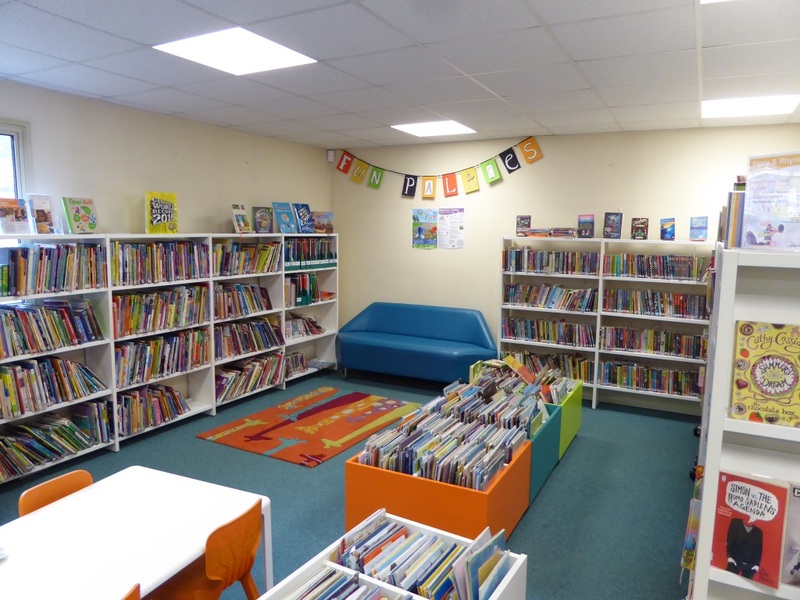 The library had a substantial refurbishment in 2014 and was bright and spacious inside. Finally on my way back I stopped off in Ickenham – lovely small library with lots of reading and study nooks. Not a bad tally for Day 1! As part of my [self imposed] quest to include libraries which had some kind of personal connection to me, and, as a reminder that Libraries Week is to celebrate all kinds of libraries, on Tuesday I called in to the Institution of Civil Engineers. It is their 200th anniversary this year, and there is a wonderful exhibition in their old library, aimed at encouraging young people to think about civil engineering as a career. The connection to me is that, as the daughter of a civil engineer, I know a lot about what contribution they make, and it was good to not only explore the ‘old’ library, but also to be invited upstairs to see what is now called the members resources area (“where the librarians work”) – a slightly smaller space, but with lovely arched ceiling and lots of study nooks. Day 3 was a day to represent my long time interest in charting the Carnegie legacy. First stop was Islington Central, where the team had invited me to attend the launch of their new collection of material related to women’s health. A perfect idea to illustrate the wellbeing theme of this year’s Libraries Week, and a good chance to hear about their plans to develop this building. I then took the Victoria line to its end, and visited Walthamstow library. Doubly relevant to me as besides the Carnegie history, my grandfather was born in Walthamstow, so may have used this library. 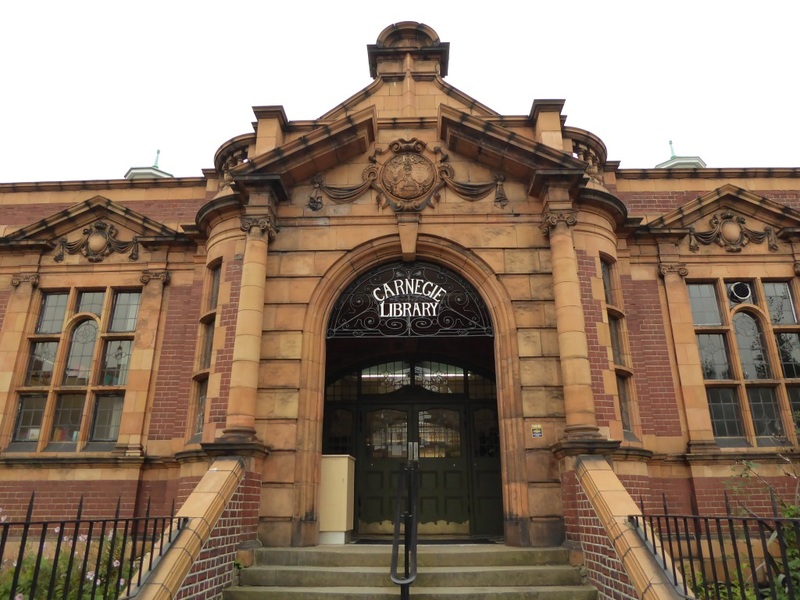 I traveled home just in time to pop into Rochester library (not a Carnegie – although there used to be one in Chatham, before the council demolished it) and use the wifi to publish a blog post and check my emails! A shift of emphasis for Day 4, as I headed to CILIP, for their AGM and ceremony to celebrate the projects shortlisted for the Libraries Change Lives 2018 award. Congratulations to Glasgow, who were announced as winners, but I recommend watching all 3 films – as the projects in Kirklees and Newcastle are equally life changing. Back on the libraries trail, and this time I headed to the end of the District line, to visit libraries in Havering. 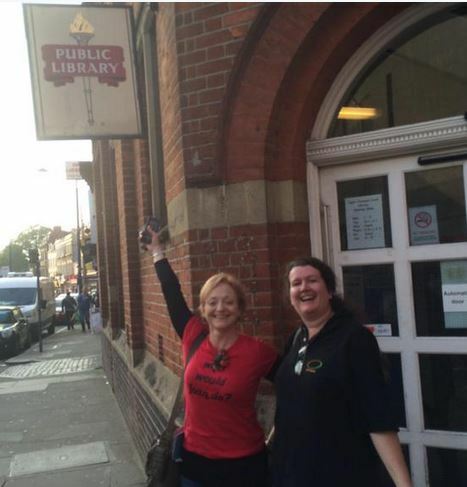 First stop was Upminster – one of the libraries where my mum worked in the 60s (she was there when it opened). It hasn’t changed structurally, although the huge mural on the back wall was added during a recent refurbishment. A couple of stops along the District line, and I got off at Elm Park. The library there was opened in 2009, and meets all sorts of high environmental standards, with its sedum roof, solar panels, energy efficient lighting and insulation made from recycled newspaper. 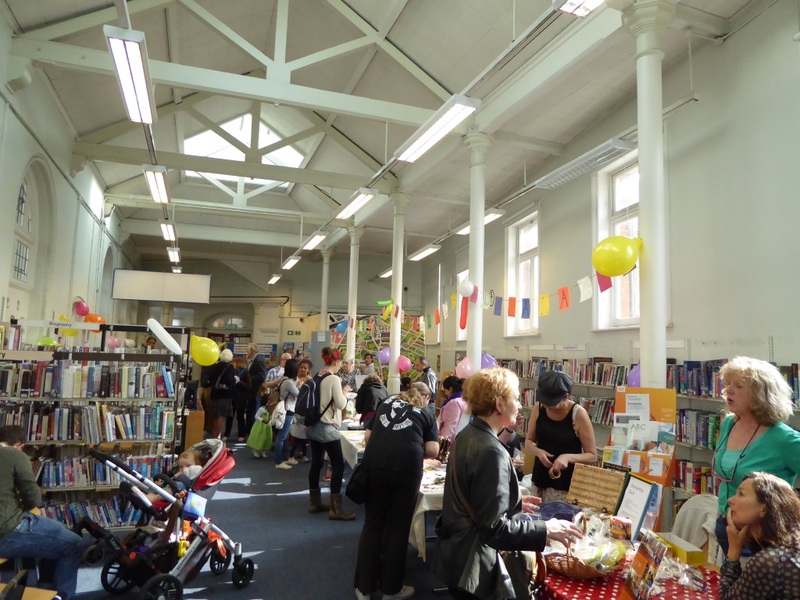 It is also a bright and welcoming library – and I picked up a brochure for the Havering Literary Festival – a hugely impressive lineup of authors and events. Oh yes, and remember I mentioned plans for ministers to visit libraries? They did: the Secretary of State went to Salisbury, and Libraries Minister Michael Ellis visited Wimbledon. Back to CILIP for the conference/workshop organised by the Public and Mobile Libraries group. An interesting day, hearing about progress with the Public Libraries Skills strategy, the new ethical framework, 100% digital Leeds, and talking with colleagues from around the public library network. One session provided the perfect photo to close the week – Jo has customised ‘Guess Who?’ to show the faces of the library people who have appeared in her podcast series ‘Librarians with Lives‘. So that was Libraries Week 2018 – exhausting, and I was really just an observer! But visiting all those libraries was an excellent reminder of how there is no such thing as a stereotype library – rather a range from old – new, traditional – experimental, calm – lively, suiting the communities they serve. And if you search the hashtag, you will see a national, colourful picture of the diverse range of services offered and people enjoying themselves in libraries all around the country. I had to stop myself from scattering the word “inspiring” too frequently in this post, but it would be truly deserved. Today I was lucky to be invited to the event run by the Good Things Foundation, to celebrate reaching their 2 Millionth Learner. “At Good Things Foundation, our aim is to improve lives through digital. And at the end of last year we reached a significant milestone – helping 2 million people gain new digital skills since 2010. And just as they did when they reached their first M milestone, they used the opportunity to scan their community, reaching out to all the different partners who run courses, and seek nominations for awards. The event today – which started off with lunch on the famous rotating 34th floor of the BT Tower, aimed to celebrate all 2 million, and share some of the lives changed through learning. All the winners and their stories are shared on the website, but as I’ve come into contact with the Good Things team through work they have done with libraries, I was really pleased to find out that 2 of the winners learned their skills in programmes run in libraries. Bertram receiving his award from a representative of MIND, with Helen on his right. Another award winner with a library connection is Tasleem Akhtar, who was runner up for the Inspirational Learner award. She came to England from Pakistan, was living in a refuge with her young son, and knew that to build a better life she had to get back to her studies. She did the Learn My Way courses at Newcastle library, is now at college – and is now helping others to follow her same journey. “I was very, very excited to be able to study again. I know if I can learn, I can make my life better. I did not know much about digital before. I could use my phone to make a call but nothing else! Now I know much, much more. You need to know this to be part of society. Tasleem with Helen, and her certificate. While I was talking with one of the winners, Jenny Bayliss, runner up in the Learning for Work award, who had been introduced as learning her digital skills via Citizens Advice East Staffordshire, leaned over and said that she too now ran sessions in her local library, in Burton. Apparently when the CAB had to move out of their offices, they looked around for available space in the town, and found the library was just right for their needs. I urge you to read some of the other inspirational stories on the website: Paul – who was left with serious brain injury after a car crash; Bob – who actually suffered a stroke during his digital skills class, but didn’t let that stop him – and was straight back to classes after his stay in hospital, using the internet to find out more about his condition; and Margaret, who used the opportunity to learn digital skills as she fought addiction and depression. One thing they all had in common, was that they said they didn’t think what they had achieved was anything special, but as Helen wrote in the event programme: “I hope this ceremony helps them realise how special their very different journeys and achievements are”. In the words of the final winner, the truly inspirational Olwyn Popplewell (who just a couple of years ago was sleeping rough – but now has his own flat and a job, and still finds time to volunteer at Evolve, the shelter organisation who helped him, and whose facility includes an online centre) – I wouldn’t be where I am now, I wouldn’t have done even a quarter of it ….. without someone helping me, being so positive, believing in me …. I’ve come from sleeping on park benches to my own place. I’m accepting this award on behalf of all those who want to make their lives better. This year’s Publicity and Public Relations Group’s conference: Library marketing and PR – critical to success, was held in the Custard Factory, Birmingham. Probably the CILIP group with the most relevance to my work with the Libraries Taskforce, I was glad to get a place and looked forward to seeing presentations from their Marketing excellence award winners. Before we got to those though, first up was Alastair McCapra – CEO of CIPR, the Chartered Institute of Public Relations. He started by asking if anyone was familiar with Libraries Deliver…… (not many were – but then as a large percentage of the group were from academic libraries, I’m not that surprised). It was valuable to hear comments from someone not at the heart of the libraries sector, but who has experience and expertise in marketing. Alastair worked from the draft text, commenting that he thought it set out a good summary of what libraries have already achieved – confirming that even in a document looking at a future vision , it is important to remember there is a track record. He went on to pull out some important lines, which, as he put it, sound good, but benefit from unpicking. Overall he was positive, and said he was pleased to see communications, advocacy and marketing given a profile in the document. I’ve invited him to write a guest blog post for the Taskforce, and look forward to hearing his thoughts once he has seen the final document. He commented that any advice around libraries and marketing perhaps includes the supposition that the library has some kind of PR resource – and he suspects many don’t, or have to rely on a central PR team. His follow up comment: if you work in a library and don’t have your own PR team, but want to land a campaign, DO go and talk to the central team. His aside: “cake will always open doors” went down well! He made the point that the main thing PR people hate is having things dumped on them at the last moment. They like to be in at the beginning, so they can help shape things. nb. this did remind me of the wonderful cartoons I saw from Helen Reynolds the other day – which she called face-palm bingo. The next speaker was Liz McGettigan, whose lively talk titled: From a whisper to a roar! contained masses of examples of innovative library marketing, modern exciting library and exhortations that we ALL need to shout more about what we are doing. It was delivered at breakneck speed, and I plan once the presentation has been shared to work though it more slowly, following up many of the links I noted and actually watching some of the films she shared tantalising clips from. Emma Walton‘s talk: Marketing – a nice thing to do? shared how Loughborough University engages with its users to ensure that they continue to deliver exactly what people need. She used the example of their recent refurbishment as something that could have caused problems (while the library building had to close for the summer, services were still available). She commented that while marketing was business critical, and essential, it was also a nice thing to do, and could be fun. But, as mentioned, what I was really looking forward to was the award winners. Oldham libraries were the first of 2 Gold award winners, for their live@thelibrary programme of literature and arts events. The team from Oldham with their award. Andrea Ellison introduced the context: there are 12 libraries in Oldham, including the flagship central library. It’s is a colourful, architecturally interesting building (definitely one to add to the ‘must visit’ list) which includes a purpose built performance space. The performance space is a good space, but had a low technical level spec and tended to be used more for meetings. ACE capital funding improved the quality of the space, and GftA supported development of the programme. I’ve invited Andrea to blog about their programme for the Taskforce, so I hope to be able to share more details about their project soon. The second Gold award was given to Durham University’s Palace Green library for their Magna Carta exhibition. Emma Hamlett – curator of exhibition shared their objectives and evaluation, which included a specific measure of economic impact generated (£2.4m) and % of people who came to Durham specifically to visit the exhibition. A different team from Durham received a second award: silver, for their 2015 induction campaign for students, which was based around Harry Potter. Publicity materials from the Durham University library induction campaign. Their aims were to inform new students about library services, and encourage them to visit the library. Assets included ‘owl’ flyers, banners, bags and traditional publicity leaflets. They had displays at library entrances, and attended campus events (freshers fairs etc) plus there was lots of activity on social media. One idea that captured peoples attention was the sorting app they created (as students swiped their library card, they were ‘sorted’ into one of the Hogwarts houses). Their overall budget was around £3000, which chiefly went on printing materials. Design and organisation was all done by the in-house team. NB – someone in the audience asked about copyright. The team did contact JK Rowling’s representative, and as it was non commercial use, permission was given. Leeds libraries won the Bronze award for their #whatsyourstory campaign. This one was already familiar to me, as they had written a blog for the Taskforce, but it was interesting to hear Alison Millar presenting their plans for the future, and how it has turned around the way they think about services: focus on the people and what difference library makes to their lives. Statistics are important, but stories matter. The final award was for a social media campaign. Edge Hill University won for #WillOnCampus, a one week campaign which ran 18-23 April 2016. Julie Nolan told us about the initiative, which started as a fun idea to celebrate the anniversary. They wanted to engage with their social media community and lift the mood during a stressed time in the university calendar. Having seen the impact of this, they are planning more social media campaigns, for example another photo competition, this time to highlight library services. A well organised event in a bright and easy to get to venue, which illustrated the range of activities going on in libraries – both public and academic, showed just how many similarities and overlaps there are between the 2 sectors, and how much we can learn from one another. It also endorsed the calls made by several of the morning speakers, that libraries really need to get better at publicity: while the media loves bad news stories, we must not let these drown out the innovative work being done. And my own objectives? Well and truly met. Lots of people met and ideas for future blogs and case studies gathered. Extremely busy weekend: looking at all the wonderful and diverse things going on in libraries across the country, gathering examples of where colleagues and members of the Libraries Taskforce are visiting, and doing my own library tour! You’d think after spending all week immersed in library news I might like to take a break at the weekend (you know, watch some rugby, go out for a lazy lunch? – its OK, managed to fit that in too!) but National Libraries day is an opportunity too good to miss. I checked the website and discovered no particular events planned for my home area, but Kent Libraries were offering activities, so we started the day by heading over to Snodland library. Their library is in the High Street, and besides library services there is also a space for the local borough council to offer surgeries. There was a book sale so I couldn’t resist 5 books for a pound. [note to self…. supposed to borrow books from the library, not fill up the house], but more importantly, there were also people reading, choosing and borrowing books, and a family in the children’s section having storytime. I did their “so you think you know libraries” quiz and was duly awarded my certificate. Over the 20 years I’ve lived in the Medway towns, I’ve visited many of the libraries, but not all, so this year National Libraries Day was a good excuse to plan a route to fill in all my gaps. While we’ve had many walks around Northwood Hills and Cliffe, we’d never ventured right to the northeastern edge of the peninsular, and Grain village is a long way from the rest of the Medway Towns. The library is in a former Bethel Congregational chapel (built 1893) and is also billed as a community and learning centre. On a grey damp Saturday morning, behind that blue door was an explosion of colour and sound. The regular Saturday morning kids club was in full swing and every corner of the library had children making posters, colouring, playing with lego or on the computers. A couple of brave adults also brought back and chose new books. I must have driven past this library many times, but never stopped to visit. The building opened in 1961 and lots of the features are classic 60s: curved concrete entrance porch, coloured mock granite tiles, wooden shelving and crittall windows. Inside, the walls are painted vivid deep pink, and many of the shelves are dark wood, but the high ceiling and huge windows means the overall impression is of light and space. There is a mezzanine floor, with comfy looking sofas – apparently popular with the many reading groups and U3A groups who meet in the library. Just as in Snodland, there was a family having storytime in the colourful childrens section, and adult readers were scattered among the armchairs. One patron was using the free wifi to carry out some research (on a table behind me, surrounded by files and papers). Not far from Rainham, in another part of the Medway towns I’ve never visited before, is Wigmore library. Not an attractive looking building on the outside, but with its own carpark and woods behind, its one I’ll go back to. Inside the library lobby has a display of pictures by local artists, and the childrens section has lots of creative displays on the walls (including 2 exotic looking owls). Like Rainham, this library also has an upper section, but here it houses the computer section, while the main space has lots of mobile bookshelves and a table with a pile of jigsaw pieces……. if I didn’t have other libraries to see, I might have been there til closing! Final destination was a library I’ve been intrigued about for a while. Thomas Aveling library is on the site of Thomas Aveling school. During school hours it is the school library – with space for classroom activities, plus a coffee bar. From the end of school time, it becomes a public library – although staff said from 3-4.30 it is often still filled with students doing their homework and using the computers. Later and on Saturdays it is available to local residents. The last port of call completed my visits to Medway libraries and its great to look over the full set of photos and recognise how different they are. From a 19th century chapel to a refurbishment only opened last year; partnerships with council services, adult education, and a school; 16 spaces with very different atmospheres and sense of place. And as I can take out books from, and return to, any of them, think we should make more effort to break away from force of habit (just popping into Rochester or using the ebooks option), and visit more of them, more often. Yesterday I took part in a library crawl – a walk around all of Lambeth’s libraries as they were transformed for the day into Fun Palaces. I wasn’t alone – I walked with the author Stella Duffy, who is one quarter of the team behind the whole Fun Palaces extravaganza (over 140 places this weekend, in England Scotland, New Zealand, Australia and New York). Her notes about the walk (much more poetic than mine…..) are what inspired the title of this – my attempt to transform my notes into something that reflects the sights, sounds, colours, smells and experiences packed into 8 hours. 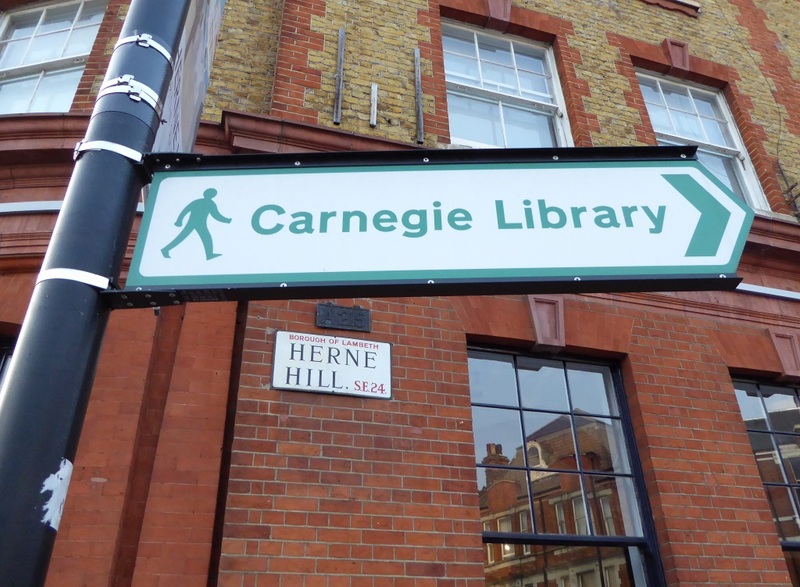 Our starting point was the beautiful Carnegie Library by Ruskin Park in Herne Hill. I arrived as people were just setting up, and could see already the Fun Palace theme being brought to life: Everyone’s an artist, Everyone’s a scientist – bringing together all the diverse groups that make up a community. A football club next to an aromatherapist next to a pasta maker, kickboxing in one corner, a 10 metre cartoon being created in another – and all against a backdrop of books and noise. Four of us set off towards Minet – walking through lovely parks and quiet, house-lined streets. The Fun Palace was buzzing: cup painting, urban-myth writing, 3D printer in action*, plus the most intricate and gorgeous pop up books I’ve ever seen (and an artist helping children to create their own). Next stop Durning – and on the way we were joined by another walker. This library is the perfect venue for a Fun Palace – decorated with gargoyles and gothic arches, we sang songs of crocodiles and were joined by former MP Michael English and author Sarah Waters. No time to linger, we headed to Waterloo. No more leafy sidestreets, this was deep into the heart of built up Lambeth – busy streets and modern ugliness. Waterloo library was a haven of colour. We arrived before the Fun Palace crowds, and helped scatter golden stars ready for the space scientist to do her thing. Walked along the Thames – past 2 other Palaces (Westminster and Lambeth) – no fun in evidence, maybe one day? Then we reached the second library funded by a victorian philanthropist – but this one made his money from sugar, not steel. Henry Tate gave his name to the Tate Gallery, and Tate South Lambeth Library. Inside was a riot of colour, noise and smells. Lots of delicious food – including a tray of fried chicken and some wonderful portugese cake. I saw people with plates of indian food, and was invited to try african coffee. There were people playing chess, and indian head massage offered in another corner. Next stop Clapham Library. From the front, a wall of glass, and no hint that inside is the first spiral library I’ve ever seen. We saw zine making, balloon hats, chinese writing and heard about the intriguing serendipity strategy. Falling behind schedule – 4 more Palaces to find before the end of the trail, and next stop was Brixton Library. The second Tate funded, and probably the noisiest and most colourful Fun Palace. Missed the group collecting Brixton memories and the lion hunters, but saw guitar lessons, jewellery made from natural ingredients, and skeleton body paint. 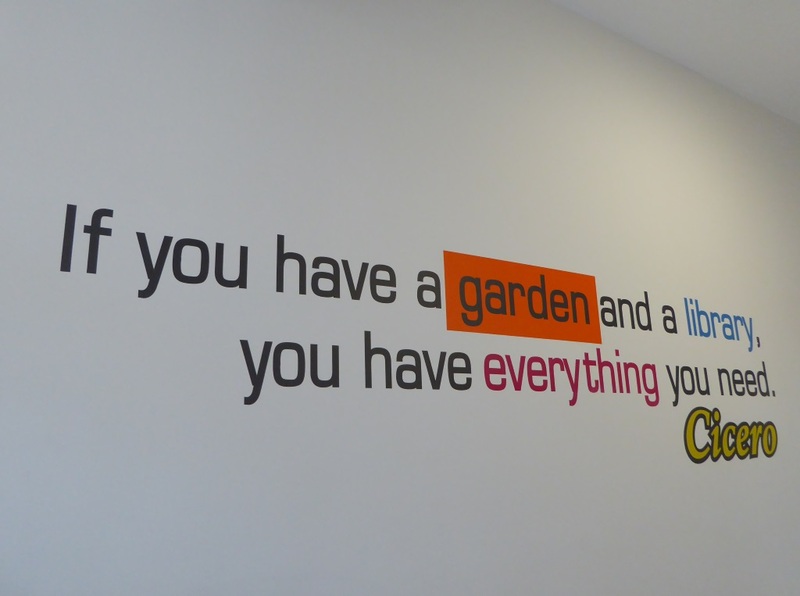 Onwards to Streatham – the Fun Palace taking place in a community room alongside the library (yet another Tate-funded). I saw a preserved sliver of human brain tissue through a microscope, heard storytelling, watched a huge group learning woolcraft and another making crazy animals out of vegetables. Then went exploring the library, and found their garden. Cicero would like Streatham. Penultimate stop, and cutting it fine with our timing, we arrived in West Norwood to find science had combined with art to create architecture: a geodesic dome (plus enthusiastic children who modelled their masks and robots.). Final call, 10 minutes before closing, was Upper Norwood Library. The last group of children testing out their paper planes, but we heard tales of serious games (Dungeons and dragons), clay models and dancing. 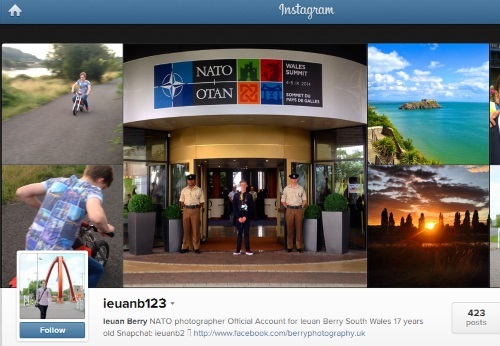 Instagram – whats it all about? I confess I have wondered just what niche Instagram fills in the social media ecosystem, so I was very interested to listen to John TassPa who came to talk to us yesterday. His enthusiasm was infectious – he outlined the evolution of the photo sharing app and shared some fascinating examples of how public sector organisations are using it. Instagram’s aim is to enable people to “capture and share moments” and it was fueled by the wish to be able to capture and share immediately – the possibility of which was made real by the near ubiquity of smartphones. Some of the channels key values are Community first, Simplicity matters, and inspire Creativity. It was clear how these aims are delivered from the examples talked about. When instagram first launched they made a huge effort to contact photographers and offer them the opportunity to showcase their work. Thus it didn’t start as an echoing empty place, but was already filled with the sort of content they hoped others could create and add. The app itself is apparently very simple to use (I’ll have to get back to you on that….. although I did notice a twitter exchange from @billt that raised a question that didn’t sound so simple!) and the creativity element is enhanced by the availability of a range of filters which photographers can apply to their images to lift them out of the mass of ordinary snapshots. On to the examples – unsurprisingly, the channel has been used by tourism bodies who want to expose great images of the regions they are responsible for – the Australian Tourism body pit out a call to people to use a specific hashtag. They then contact the photographers and curate their content in a gallery. Canada copied this, as did Israel and Iceland. The US department of the interior did similar – although their specific action was to encourage their own park rangers to contribute images. The US coastguard shares control of their main channel with different regional stations, so viewers can get a sense of activity all around the States. 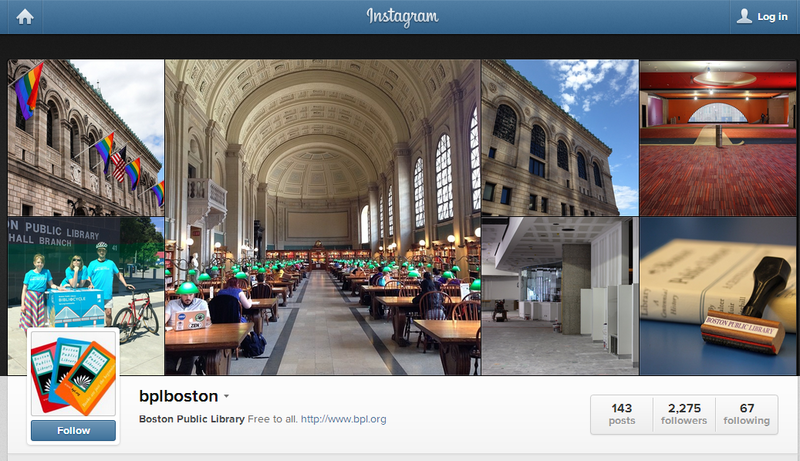 And a final US example – and one I’ll definitely take a look at – Boston Public Library – an account to explore! Instagram is encouraging organisations to be creative in other ways. One technique is to identify photographers on the channel who already have a number of followers, and inviting them to take part in specific events to generate new content. Examples of this include a Canadian Regional tourism board who invited a group of instagrammers from around the world on a visit to their state and curated the content they produced. A current example closer to home is the team managing the NATO summit taking place in Wales. They invited a 17 year old instagrammer to become part of the official press pack and cover the summit. Besides getting a range of different photographs, they have also gained a lot of free positive publicity for this. 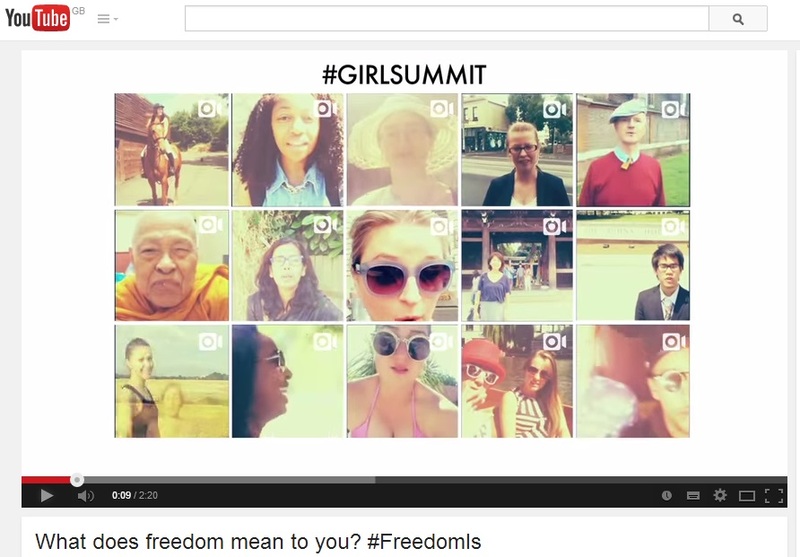 My own Department DFID also scored an instagram “first” with a campaign it ran around the recent Girl Summit in London. Instagrammers were invited to upload short videos in which they described what freedom meant to them (using the hashtag #freedomis) and the team created a short video of the best clips. Again, lots of good publicity and interest in the process – plus a wide variety of actual submissions. The session was wrapped up with some examples of public figures who are using instagram to show their more human side. One comment about the best accounts – its what they see, not about seeing them. People including the italian tourism minister Dario Franceschini, and the Mayor of Los Angeles. Bottom line – instagram is an overwhelmingly positive channel – favourite of the smartphone owner who just wants to flick through lots of colourful, eyecatching content. The words/captions attached are almost incidental, and its actually quite hard, if not impossible to search for content if you are not a member of the community. I can now understand though how it is helping brands to build on trends, and to raise awareness of a topic or theme. In conclusion, while I’m not planning to completely change my photo taking and sharing habits overnight, the talk proved again to me the mantra that you need to participate in a channel to really understand how it works. I still have lots of questions, so I may well set up an account.